I haven't finished any big projects lately, one is ready to sandwich and anther is completely cut and ready to piece, but I have completed several smaller projects recently, including two pillows, a basket and zipper pouch. I also did a wall hanging quilt for my friend's new office. I used stash fabrics for the petals and Zen Chic's Modern Backgrounds for, of course, the background. I really like the over feel of the medium grey. I hope it will brighten her office. The finish size is 40" x 48" and I added hanging sleeves on two sides so it can be hung horizontal or vertical. Even though it's still 2015 I've begun to work on my list. 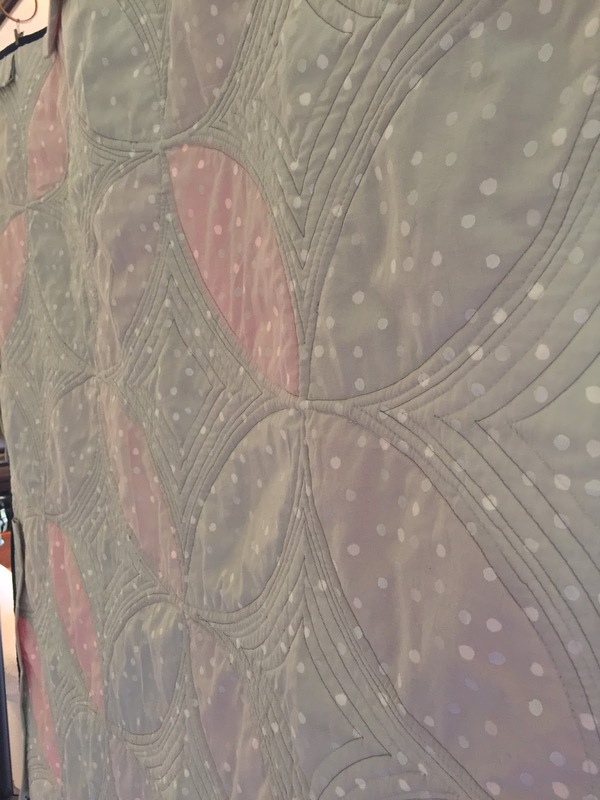 My double wedding ring quilt is all cut out and have pieced a single ring for an accent pillow. I've found a great inspiration for a beginner improve pieced quilt. Lastly, I pieced a triangle quilt top for my friend's daughter's first birthday. I'm excited to have a jump start on my skill building with the holidays coming up sewing opportunities will be limited. This quilt ended up being 49" x 65", or so. I have to admit it's not perfect but as I went along my piecing got better. 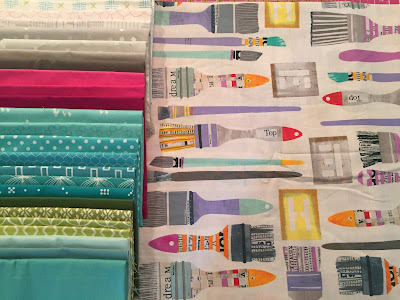 Finally, I'm making a twin size quilt quilt for my niece so she and her mother came over and we went through my stash and pulled fabrics for a log cabin quilt. 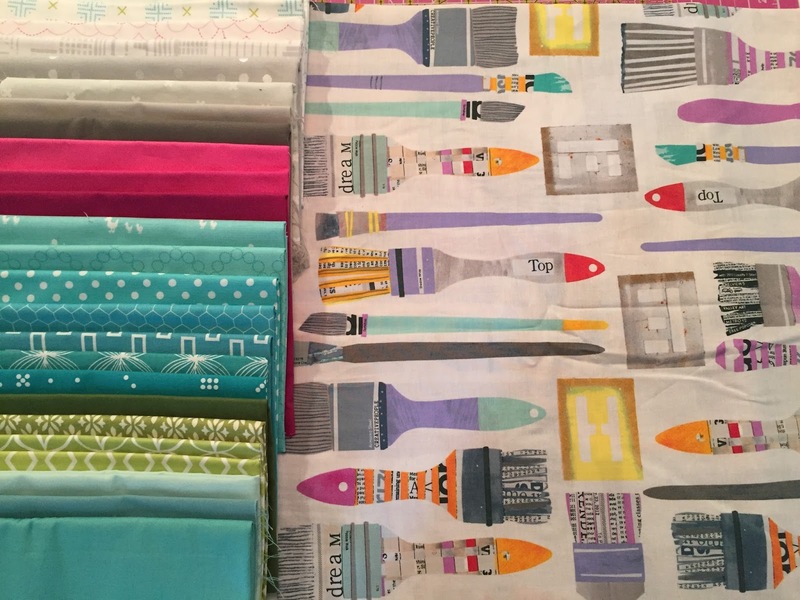 I love the color pallet and the backing material, Carie Bloomston's Paint. I'm also gonna make her a couple coordinating throw pillows, probably a paint can and a brush.